I've always been one for the deep wine's and rich burgundy's of autumn. But I've never actually owned a purple lipstick until today. And now, I have two to choose from. 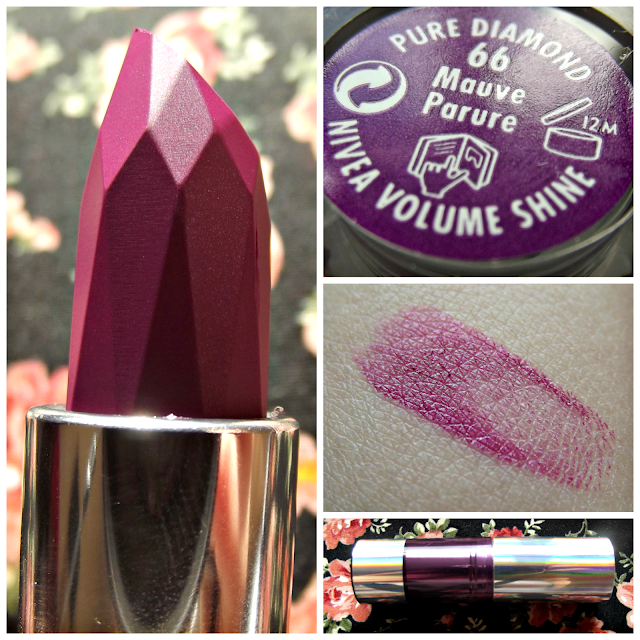 Nivea Volume Shine Pure Diamond Lipstick in the shade 66 Mauve Parure. 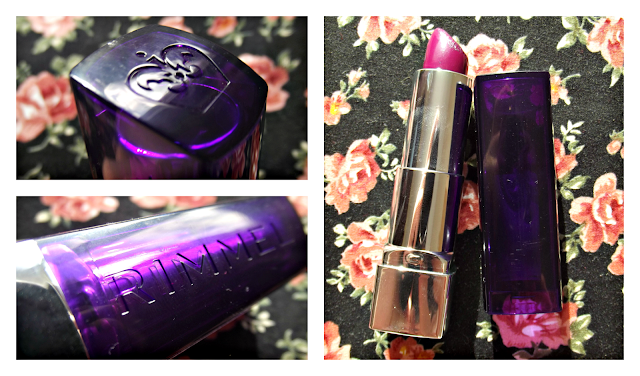 I deemed this lipstick too pretty to touch to my lips until I had photographed it for blogging purposes. I just love it's multifaceted design. It seems to be the in thing to decorate the lipstick itself, such as in MUA's One Direction Line. I feel really guilty when I finally touch it to my lips and swipe away the pattern. The NEW Rimmel's Moisture Renew in the shade 380 Dark Night Waterl-oops! (£6.49). This was handed down to me by fellow beauty blogger Becky over at The Confessions of a Shopaholic. Who has known of my love for deep lipstick shades ever since we met a year ago. The packaging for the new collection is translucent as opposed to opaque and feels a bit, dare I say cheap, in comparison. However the shade is simply perfect! It's dark and daring and the name is darling. 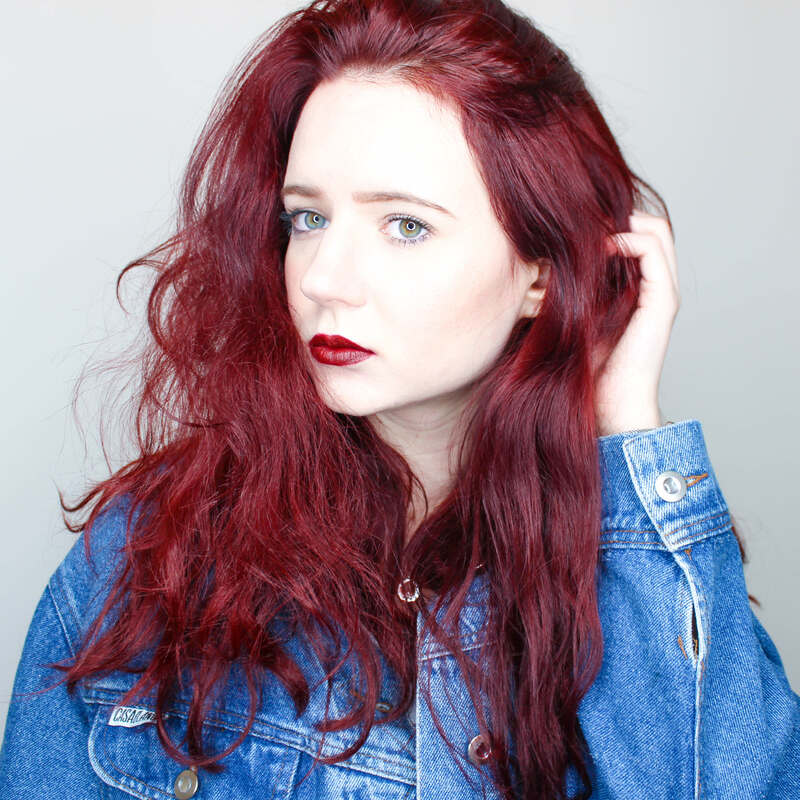 You can read about the new ten lipstick collection of Fleur De Force's blog - they're beautiful! Though I haven't had time to full review the lipsticks yet I can tell you they were a pain to remove after swatching! 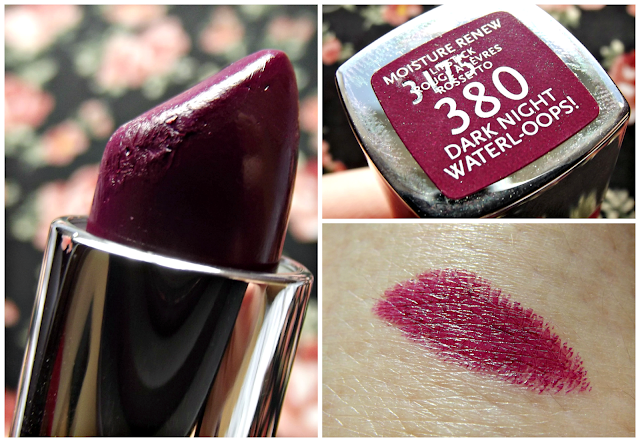 What are your favorite purple picks for autumn lipstick this year?